The Cabezon is a bottom fish found off the Pacific coast from Mexico to Alaska with poisonous spines and an attitude to match. In Spanish, Cabazon means 'big headed' or 'stubborn' so you have to take your time dealing with them. 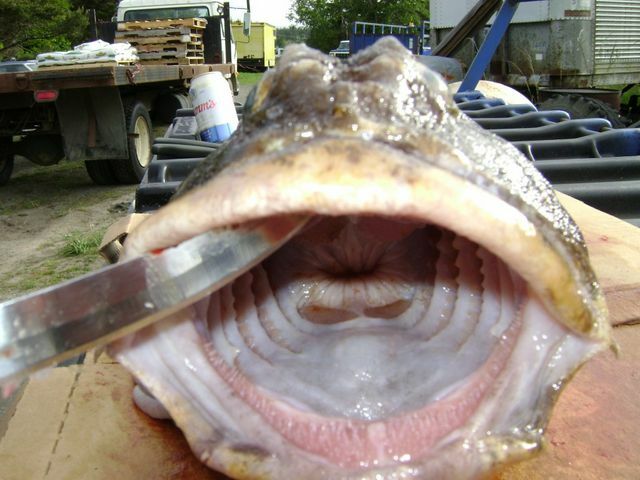 The spines are nasty and they can get up to 25 lbs., but most are much smaller. Cabazon are among the bottom fish we catch and keep live on the boat till delivery and although they have a mug only a momma could love, they have a delicate flavor and are prized by local seafood lovers. Sadly the roe is poisonous, so don't be tempted to make caviar out of it.. you'll be sorry. Don't be put off by the blue tinge to the fish when you fillet it -- it'll turn white once it's cooked. We are selling live fish to distributors in San Fransisco so watch for our fish in tanks at your favorite seafood restaruants. Check out me cutting and grilling one up -- Tasty! 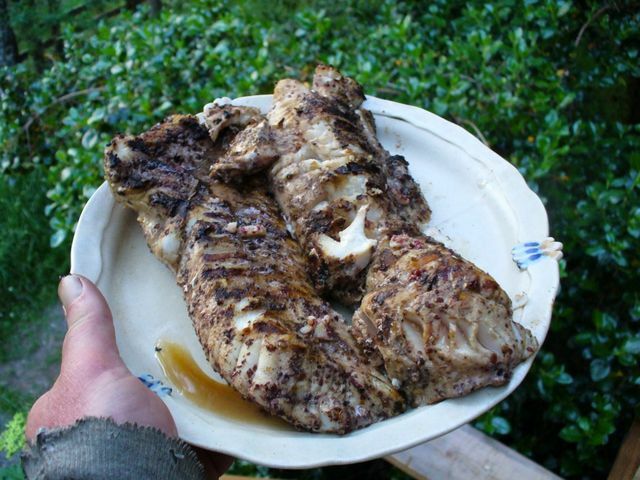 Check out our Grilled Cabazon w/sumac & Peppercorn Recipe!